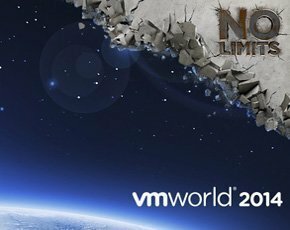 At VMworld 2014 in Barcelona VMware targeted hyper-converged storage built around x86 servers as the prime use case for its Virtual SAN (VSAN), a storage software product that aggregates server-attached disk into a SAN-like common storage pool. VSAN – a separately licensable feature of the vSphere environment – was recently upgraded in version 2.0 to scale to 64 nodes, in line with vSphere. Each node can accommodate up to 35 disk drives, and can put VSAN into multi-petabyte capacities. VSAN, originally announced two years ago, can aggregate server attached disk (DAS) into a single pool of storage. The resulting pool can comprise spinning disk HDDs with flash disk obligatory for high-speed metadata or, with version 2.0, can form an all-flash array using only SSDs. Another major change to VSAN in 2.0 is the inclusion of software acquired from Virsto in 2013. Virsto majored on being able to provide speedier write access to virtual machine storage by logging write requests and making them sequential rather than random. But, according to VMware storage product marketing manager Alberto Farronato, Virtso’s IP also included a file system with advanced storage functions such as snapshots and clones, and these have been built into VSAN. VSAN appears in some respects similar to storage virtualisation products such as DataCore, from which users can build a SAN-like pool of storage from disparate resources, and EMC’s ViPR, which includes storage virtualisation but also allows for big data analytics and object storage access. Both of those products can bring existing storage array makers’ products into their storage pools. Does VSAN plan to allow that capability? “No. We see VSAN as a new tier that can be used in conjunction with existing storage. We will add JBOD deployment in 2.0 but we think there’s an important role for existing storage that can be accessed and used with vSphere via Virtual Volumes, for example,” said Farronato. Instead, he set out a vision of VSAN occupying a different space. “We think we can do a better job at this kind of architecture, where x86 is an emerging platform for storage for virtual machines. Because we own the hypervisor, we can deliver greater integration and value to customers direct from vSphere,” he said. VMware’s moves in this direction look like a response to the so-called hyperscale compute/storage architectures that have risen to prominence among web giants such as Facebook and Google. These see the use of many commodity hardware-based nodes of compute with direct-attached storage (DAS) and have often been used in big data/web processing. Unlike traditional enterprise compute and storage infrastructures hyperscale builds in redundancy at the level of the entire compute/storage node. If a component suffers a breakdown the workload fails over to another node, the entire unit is replaced rather than just the component inside. VMware claims to have 300 customers with VSAN deployed.